Searing platter of krautrock with scorching doses of The Stooges & Judas Priest. Another ripper from this legendary Finnish horde! 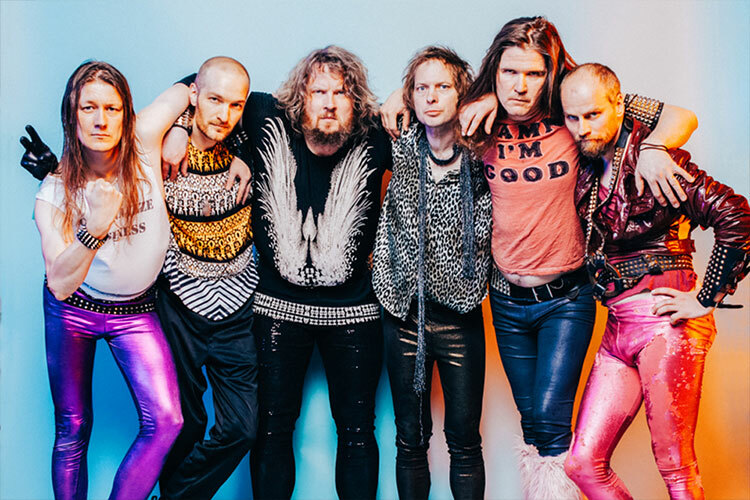 Circle are the very definition of genre-defying, a rare feat for any band, but effortlessly achieved by this prolific Finnish collective. Circle’s latest album Terminal is pure hedonistic pleasure. Never content on staying the same, they have created an idiosyncratic cocktail of sonic fusions, conjuring an impulsive, dizzying energy that stirs a spirit of curiosity within the listener, and has the ability to possess all who encounter them. Whilst many would run out of creative steam (certainly after 30+ albums), Circle continue to boldly explore sonic soundscapes, venturing curiously into terrains of Stooges-esque swagger, trance-inducing kraut rock mantras, beautiful electronic ambience, psychedelic rock noodling, arena storming AOR weirdness, 70s prog rock extravagance, glam pop pomp, and of course their core sound, heavy metal, not to mention other peculiar and daring sounds that simply cannot be pigeon-holed. Terminal is gloriously fruitful in tones, shapes, colours and sounds. Eccentric, accessible, delightful and thrilling.